Most people hearing the words “salt water” naturally think of ocean water, but in the world of swimming pools, “salt water” or “salt pool” refers to one that uses a salt chlorine generator for sanitization. To be absolutely clear, there are sea water pools, meaning pools that are filled with ocean water. These are not so common and are typically located right at the coast. Sea water pools require special equipment and surfaces to withstand the very briny 35,000 parts per million (ppm) of salt found in the ocean. There are also additional filtration and maintenance concerns as sea water contains many components (minerals, algae, and other organics) not found in the public tap or well water used to fill most pools. Salt water pools are quite different, with only about 3,000 ppm of salt. This concentration is below the threshold detectable to human taste buds and will not leave any noticeable salty residue on skin and hair. Liken it to the saline solution used for contact lenses. So, while bathers may swim and relax oblivious to its presence, the salt is involved in some complex chemical reactions in order to create chlorine. Salt is added to pool water in conjunction with the installation of a salt chlorine generator. The generator is comprised of a power supply which is wired at the pool equipment pad and a salt cell which is plumbed inline with the pipe returning water to the pool. Inside the salt cell are coated metal blades which receive a low voltage current. As salt water passes through, electrolysis occurs, splitting the salt and water into hydrogen and hypochlorous acid. This acid replaces the chlorine tablets or granules traditionally used to sanitize pools. This process repeats indefinitely as the salt converts to acid and then the acid converts back to salt. Salt does not evaporate. Therefore, once the proper ppm of salt is reached, only small amounts of salt are required to adjust levels. Some things that affect salt levels are heavy rain, which dilutes the concentration of salt, or heavy pool usage (think pool party), when a significant amount of water might be splashed out of the pool. The chlorine produced by this electrolytic process is less harsh than the traditional “tri-chlor” chlorine used for pools. Chlorine created from salt does not smell like bleach, and is very gentle to skin, hair and swim suits. The water has a softer feel. These are the more aesthetic benefits of using a salt chlorine generator. Other pros include not having to buy, handle or store buckets of chlorine. It is also considered to be a purer and therefore healthier form of chlorine, for those interested in limiting their exposure to this potent chemical. Is Salt Right for You? If you’re considering a salt pool, here are some factors to weigh. First is the initial expense of the generator. This generally ranges from about $500 – $1200 depending on your pool size, and how many bells and whistles you require. 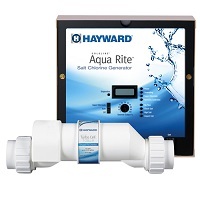 Some salt systems include automation to control all of your pool equipment and these can cost considerably more. Energy usage comes into play as well; a salt chlorinator only produces chlorine when the pool pump is running. You will also have the initial expense of many pounds of salt to get the pool up to the proper ppm; once that is done, salt maintenance is typically minimal and not very expensive. Second, you will need to replace the salt cell, generally every 3 – 5 years. Replacement cell prices are in the neighborhood of $500 – $800. If you live in a warmer region where your pool is open year round, you might need to replace the cell more frequently. Third, it is important to remember that a salt system replaces chlorine only. You still need to adjust for pH, alkalinity, calcium hardness, etc. And shocking your pool is still a necessity when it is enduring summer’s heat and high bather loads (this can be done through the “super chlorinate” feature on most salt systems). Some salt pool owners still do supplement with traditional granular shock as using the salt system to shock the pool does decrease cell life. Fourth, salt can be corrosive to pool equipment and some types of stone decks. It is important to maintain proper salt levels and consider “salt friendly” pool gear. There are rails, ladders and diving boards designed to be resistant to corrosion. Lights with plastic face rings instead of stainless steel are advisable as well as heaters with cupro nickel (instead of copper) heat exchangers. All of the above considerations aside, water quality in a properly maintained salt pool is definitely superior in feel, smell and taste. There are more and more pool owners opting for salt chlorine systems every year. Because of this, we have created many Salt Chlorine How to Guides so be sure to delve in if you want to learn a whole lot more. My pool service recently reversed the compu pool salt system so that the intake is now connected to the pool. Is there a my good reason for this change. I want to be prepared for his answer before I question him. Hi Paul, The CPSC24 cell has to be installed with the water flowing from the input port to the output port for the cell to work properly. The orientation of the cell should be noted on the cell casing with a “flow arrow.” The cell should not be reversed. That sounds awesome! I feel like having a salt water pool would be a whole lot nicer just because you wouldn’t have to worry about how nasty chlorine is. Plus, you could probably open your eyes without it hurting a lot. Sounds nicer to me. Is there as much maintenance, or is it just the salt cells you have to replace? Yes, you can. A salt water pool does not require a special pool filter. Feel free use a sand, cartridge or DE filter. Any salt water pools in Utah? We live in northern Utah and don’t like the chlorine pools. This sounds interesting. I am sure there are salt pools in Utah, it is home to the nation’s largest salt lake afterall. Our pool for the past 2 months has had a 0 chlorine level. The salt generator is working fine. We have added 8-9 lbs. of chlorine I a day with no results. Any suggestions? What is your CYA level? Is your water clear? And just to confirm, you are adding 8-9 pounds of chlorine tablets a day? 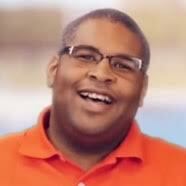 Is this a commercial or residential pool? When adapting this cell to my pool filter I noticed my salt cell (only 2 months of use) had degraded almost entirely. And the water drys leaving a white powder that irritates sensitive skin. My daughter’s eyes were nearly comprimised. I’m not sure what this machine is doing to the water… but it has an almost unnatural slippery feel. Sounds like your generator is compromised and is producing NaOH and chlorine gas? Can you post your latest water chemistry results? We would need to see what else is going on in the water to get a better idea of the issue. 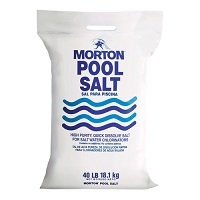 a couple of questions… First, you mentioned that salt can be corrosive to pool equipment. Is it any more corrosive than muriatic acid or chlorine? It seems to me that proper rinsing of decks, etc would prevent very much corrosion. Second, if the chlorine generator is working properly, would there be any reason for additional chlorine, aside from the ppm being reduced by replacement water, rain, etc.? Salt will eat away at metal railings, diving boards, and even decks. That is why manufacturers make Marine Grade railings, ladders and diving boards. There are also deck treatments that can be applied to the deck to protect it from salt. The application process is like adding Thompson sealer to a wood deck. The only additional need for chlorine that I can think of is after a big pool party. A bunch of people getting in and out of the pool, carrying dirt, body oils and who knows what else. Hi I have a question- I plan to get a permanent above ground pool and was told at the pool store that a salt water system will corrode the walls of the pool and it will void he warranty. I have a salt water system right now with my temporary soft sided Intex pool but he said that was ok because it the walls are soft sided. Will it really corrode the walks or is this a scare tactic bc I really like the salt water system alot better than chlorine. I read what you said about getting a sacrificial annode and a nickel cuproheater (bc plan to get heater).. any other considerations? In my experience, the walls hold up relatively well because they have several layers of protective coating. The inside of the wall is protected by the liner, and the outside is somewhat protected from spillover by the pool’s top ledge. The top rails, rims, and caps are the most likely to be affected by salt water the most because of splashing and swimmers getting in and out of the pool. If your pool has all steel parts, I would avoid salt, but a Hybrid is a little more expensive but will hold up better. A hybrid pool is made of a mix of steel and resin parts. There are various combinations of steel resin parts, depending on the pool model.But their purpose is to have the parts most susceptible to rusting to be made of the rust-proof resin material. These are more expensive but would last longer on a saltwater pool. Thank you so much! I called the pool store and they do make a steel/resin pool. Resin on the top shelf part. This is so helpful, I am planning on installing a pool, and considering on a salt pool. Salt pools still contain chlorine but just less of it. if your skin is simply sensitive to chlorine, the lower level of chlorine should hopefully lessen any negative effects. We are purchasing a house that is totally underground and yes it has an indoor pool and hot tub. The house was built in 1979 and been not been occupied for the last two years. The humidity and ventilation don’t appear to be working well, the “pool smell” of chlorine hits you when you walk into the house. In looking at the pool equipment, it looks to be a mix of very old and not so old, but never the less a piece meal approach. The pool is not a large pool or a lap pool, relatively small in size. We would like to change the pool to salt water, that said is it practical to use the some of the existing equipment or in the long run will it be more economical to replace the entire system and reduce overall maintenance? To change over to salt, the only equipment we suggest you replace are steel (non-marine grade) items like ladders, railings, and really old pumps. Also, you will want to treat the surfaces around the pool with a sealer meant for saltwater pool decks. So at the end of the day is salt water better then chlorinated pools. I was thinking about changing over to salt water pools. The white stuff is called scale, and it is calcium deposits. I suggest using scale remover chemical to neutralize the problem. Use something like this: Natural Chemistry SCALE FREE 2L or Rust & Scale (Metal Control) 1 Qt. Generally, yes it is better than traditional chlorine, but this will depend on your particular installation. Do you have metal railings, deck furniture, or a newly plastered pool surface? Newly plastered pools required 30-90 days to cure before you can switch over to salt. If you have metal railings and ladders, you can either replace them with salt friendly equipment or install a zinc anode to prevent rusting. We backflow our pool onto some bushes. Would the back flow of a salt water pool kill the plants? To be on the safe side I would direct it to the nearest drain. The salinity levels in a salt pool are relatively low, but over the lifespan of the pool you will be dumping a lot of water onto those bushes. The water may dry up but that salt is going to stay put.There are some bushes that have a higher tolerance salinity. We only have a skimmer, not a drain on the bottom of the pool, and a polaris vacuum that helps circulate water in the deep end. Would there be any issues in converting to a salt water pool with not having a drain at the bottom of our pool? The lack of a main drain would not cause an issue when converting to salt. I live in a condo and we changed over to a salt water pool. Best thing we ever did. We have more people swimming because of how nice it is and it doesn’t ruin your bathing suit or dry you hair out and the water is so soft. But I have a question. We had a pool company convert it for us but we have someone that lives here that wants it changed back because he said it put etching on the walls which is not true because I pointed out the etching before we ever changed it over. Now my question is our pool has stainless steel walls and concrete bottom. The pool has been salt water for 3 years now and NO PROBLEMS at all. But one individual that never even uses the pool wants it back to chlorine. I realize the salt can be harmful to the ladder and any metal screws that are used instead of stainless steel screws. But that is a simple fix. We also have it heated with NO PROBLEMS to the equipment. This individual printed out info on salt water pools that were 10+ years old. It said you could not use salt water with stainless steel walls in a pool. And that it was charged and this individual said it was like swimming in battery acid. But everything I pull up says you can as long add you take precautions. Can you settle this debate for me, before they change it back. I can prove that when it was chlorine that we spent hundreds and hundreds of dollars on chemicals and it was never right. Not to mention we had to drained it twice, at least half way one summer because the acid level was way too high And the Health Dept said we had to fix it and the only way to do that is drain it half way And refill it. And with the salt water pool the chemicals have never been off one time in three years. Please help before they change it over to chlorine again. EVERYONE that actually uses the pool does not want it changed back. Only the ones that NEVER use it do. I need some info to supply to the board saying it is okay to have a salt water pool so they will not change it back. I need help!! There is a lot of info in this post, but I believe the question is, can you use a salt chlorine generator in a pool with salt pools? The answer is yes. you can use an SCG on a steel walled pool. Generally, steel wall pools are covered by a vinyl liner. The steel does not come in direct contact with the saltwater. The person calling the water battery acid is being hyperbolic. If you are worried about rusting, install a sacrificial zinc anode. Large ttank er ships use them to prevent the steel hulls from rusting. I have a new salt water pool that was installed about two months ago. We continue to find sand in the pool. We cannot figure out where it is coming from since we don’t use sand to clean the water. We believe there may be a leak and the sand is actually what was laid under the pool liner during installation. I don’t think it’s a type of algae. We can’t find any damage or tear in the liner. Any thoughts before I contact the pool company? I do not think the sand is finding its way into the pool via a crack in the basin. If there is a crack in the basin, water would rush out, dirt would not get sucked in. What type of filter do you use? If you have a DE filter, the sand you are seeing could be a DE powder. Used DE can become a gray or beige color. The powder can reach your pool a few ways but the common causes are torn grids, cracked manifold or backwash. The latter happens if your pump loses prime when it is turned off and the water from the filter backwashes from the tank backward through the main drain and skimmer. Does Using 230 Voltage Save Money?